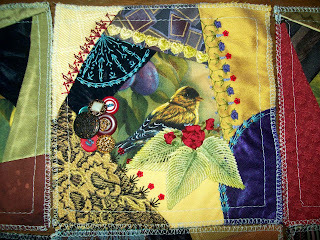 Crazy quilter's poem: contest and give-away! Oh, wait. I didn't mean that Connie is "for the birds". I meant these blocks belong to Connie in our For the Birds round robin. But you knew that, right? 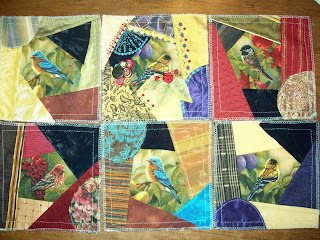 These are Connie's blocks, and I just love the color combinations. 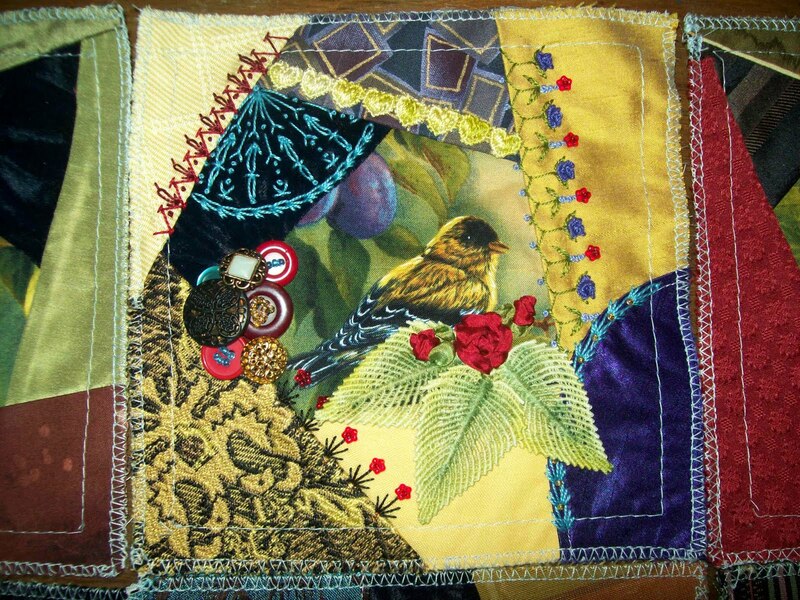 I chose one of the yellow birds and added the deep reds, turquoise, and purples from the other blocks. This was such fun to work on that I had it done about 3 weeks early. I'll probably hang on to it and see if more inspiration strikes before sending it on to the next person who is "for the birds". I love that trio of leaves!! Your work is so delicate!